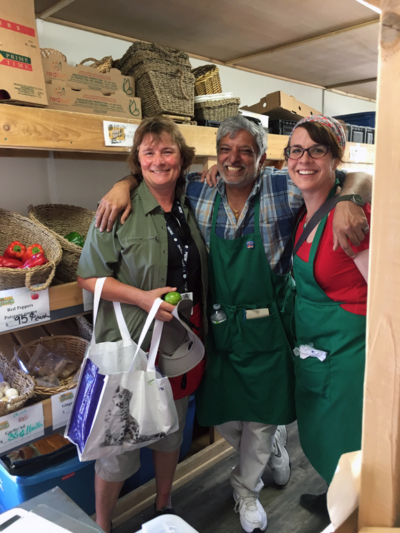 Rakesh Misra (middle) began as a MarketMobile customer and now work as a volunteer for the program. When it’s minus 10 degrees outside with a bone-chilling wind, the last thing you want to do is walk the three kilometres it takes to reach the nearest grocery store. But for many families without cars, making that trek is the only way to stock their fridge with fresh fruits and vegetables. That was until MarketMobile rolled into a number of Ottawa neighbourhoods. 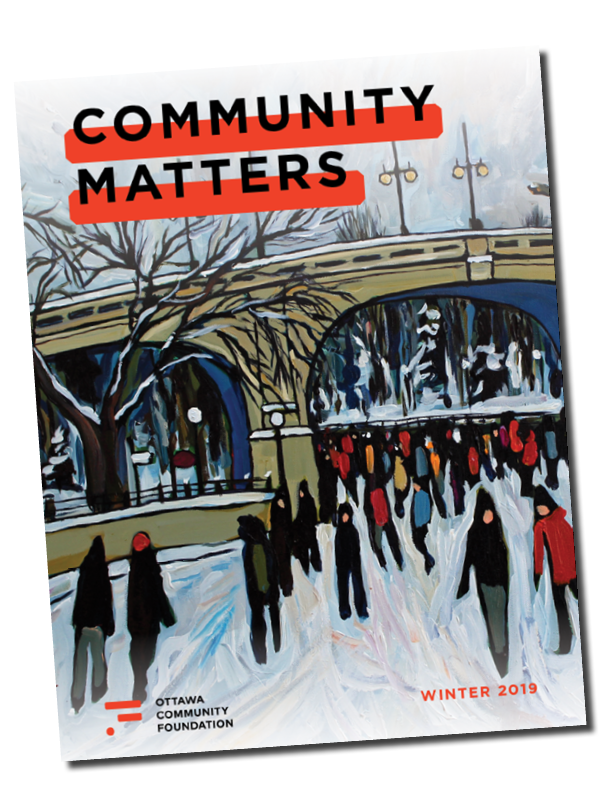 In 2015, one year after completing a pilot program, the social enterprise received a grant of $125,000 from the Ottawa Community Foundation as the winner of our New Leaf Community Challenge, to help them expand. Aptly nicknamed the “grocery store on wheels,” MarketMobile helps ensure people living in marginalized neighbourhoods have the opportunity to purchase affordable and fresh produce close to where they live. The grant allowed them to build the infrastructure needed to expand the program to two days a week and hire a full-time program officer and two part-time drivers. Today, the program is driving real change for those who are struggling to obtain healthy and nutritious meals for themselves and their families. For children, a healthy diet can have a lasting impact on their physical, mental and emotional well-being. The MarketMobile truck now operates three days a week, and travels to eight different communities: Parkdale, Pinecrest Terrace, Sandy Hill, Carlington, Overbrook, Morrison Gardens, Bayshore, and Mechanicsville. A successful partnership with Loblaws and The Community Food Hub allows MarketMobile to offer customers fresh produce at a reduced price—in some instances, the savings are up to 25 per cent. Along with more than 40 varieties of fresh produce, MarketMobile also stocks its shelves with popular dried staples such as oats, beans, tuna, spaghetti, and coffee. Rakesh was so impressed with the program that three years ago he decided to pitch in and help deliver the service. MarketMobile is constantly on the move and attracts a wide range of clients, from new Canadians and seniors living on a fixed income, to young professional and growing families. To find out more about the specific dates, times, and locations, visit the MarketMobile website at http://www.marketmobileottawa.ca/schedule.